Here’s a cool house design idea! As most of us are familiar, board-formed concrete involves imprinting wood onto the concrete to give the concrete a grain wood texture. 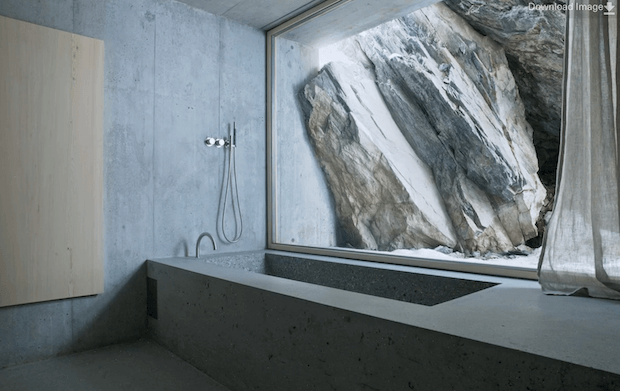 The Brutalist Concrete Log Cabin in Graubunden, Switzerland makes use of this technique but with its own personal touch. 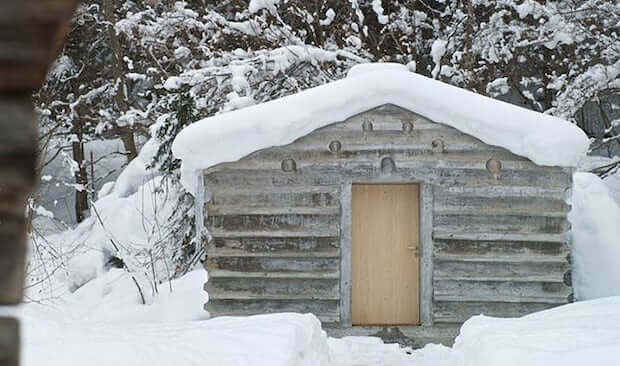 Instead of the usual 2×4 wood, log cabin walls were used to form the design on the outer walls. This gave the cabin an inverted log wall design. The interior of the home contrasts its exterior, with smooth walls and a minimalistic design. 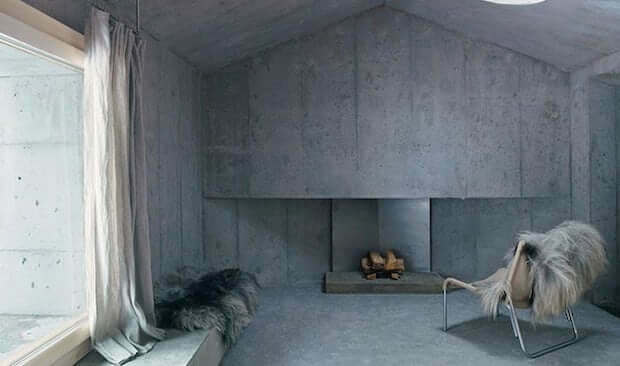 So if you still prefer a concrete finish to your home but you still want a little something to spice it up, give this technique a try! 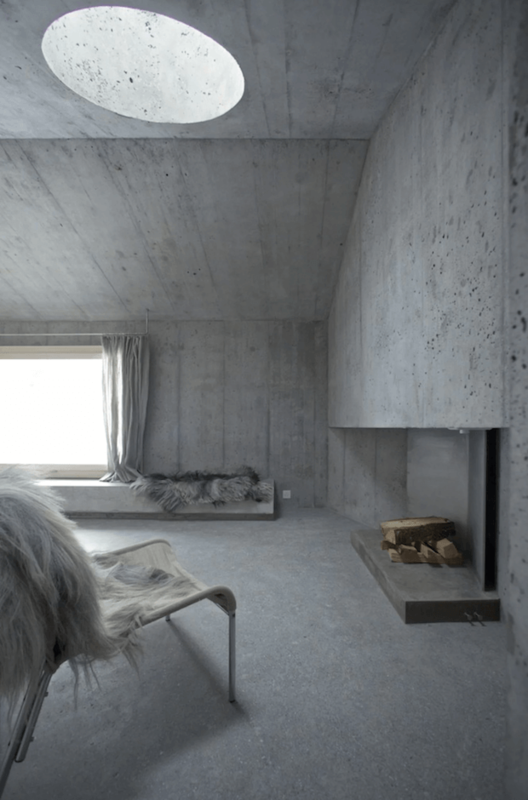 The concrete alters a familiar image while maintaining its recognizable character, inverting the shape and changing the material while stripping the house of the horizontal striation of the logs. 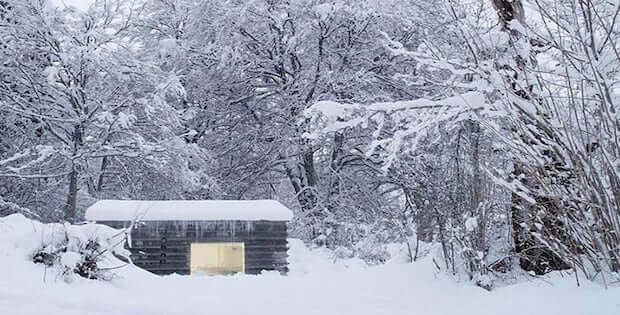 The result is a monochrome, monolithic imprint of a cabin, like a toy that has been molded out of plastic, rendering it a shadow of the original.